Play Live Casino at Mr Green and threat yourself a change to win a share of £5000! Enjoy the CASH carousel at Mr Green Live Casino! This campaign runs from Wednesday 8th August until Tuesday 14th of August. 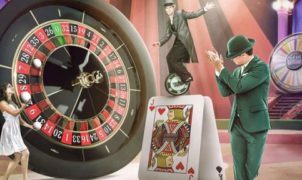 Which Live Casino games can I play? Simple play Live Blackjack, Live Roulette or Dream Catcher to enter the competition. Play at least 10 rounds with a minimum wager of €2 to earn points and you could end up on Mr Green’s leader board. If you manage to reach one of the top 50 spots you will win a share of €5000! There are two qualifying games to select from, The Jugglers and The Acrobats.